Danity Kane was this weeks number 34 with 23,123 albums sold. That’s only 8% lower than previous week. Their sales should make a boost when their new video is premiered. Also Diddy is recording his new music video with Christina Aguilera. The video is for Tell Me (Produced by Just Blaze). If you don’t have the album yet, then buy it right away. You can also check more details of Press Play here. 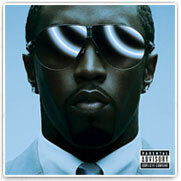 You are currently reading “Press Play number 1 album in Billboard Album Charts”, an entry on Bad Boy Forever.